The items of jewellery you choose to wear on your wedding day will become precious keepsakes that will serve as wonderful reminders of a day full of love and joy, whenever you choose to wear them again. Take time in your selection – these are special pieces may well end up becoming some of your most cherished possessions and maybe even heirloom pieces for you to hand down to your children or family members in the future. We have a long-standing relationship with Emmy London and were delighted to be asked to produce the campaign imagery for her collection for H. Samuel Jeweller. Emmy's jewellery designs are as exquisite as her shoes. What a wonderful way to add a meaningful touch to your wedding; work with a professional silversmith to create your own rings. Chic and fuss-free jewellery from a designer who uses traditional techniques and simple hand tools. I adore the elegant simplicity of Nikki's creations. 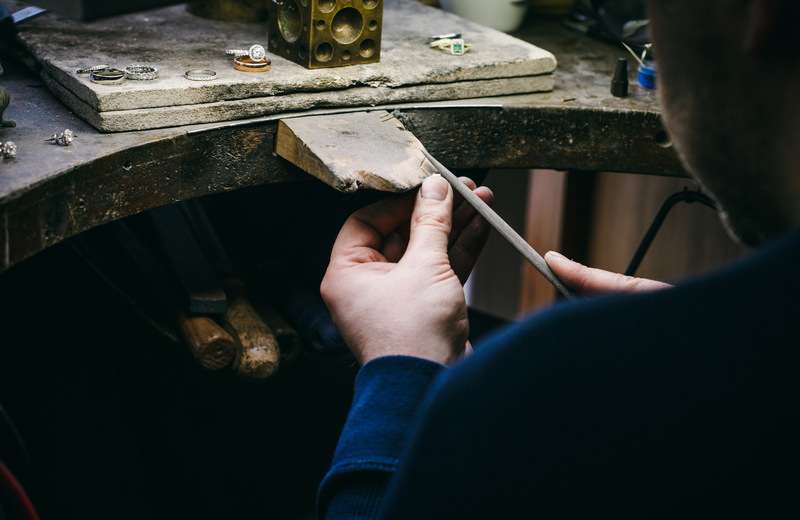 What could be more romantic than handcrafting each others wedding rings? Creating a pair of unique wedding rings together to cherish forever. We adore the exquisite wedding rings and jewellery expertly hand crafted by jeweller, Jack Meyer. Bespoke creations to celebrate your unique love story. I have a huge soft spot for Clara - one of the most talented artisan designers I know. I'm a proud owner of several of her pieces. She's also SO incredibly lovely. Beautiful, contemporary British made men and women's jewellery created using industrial engineering methods.